How To Worship A King now on Audio CD! From the writer of the beloved worship songs Alabaster Jar & The More I Seek You, comes the book at the heart of this message, How To Worship A King, by Pastor Zach Neese. 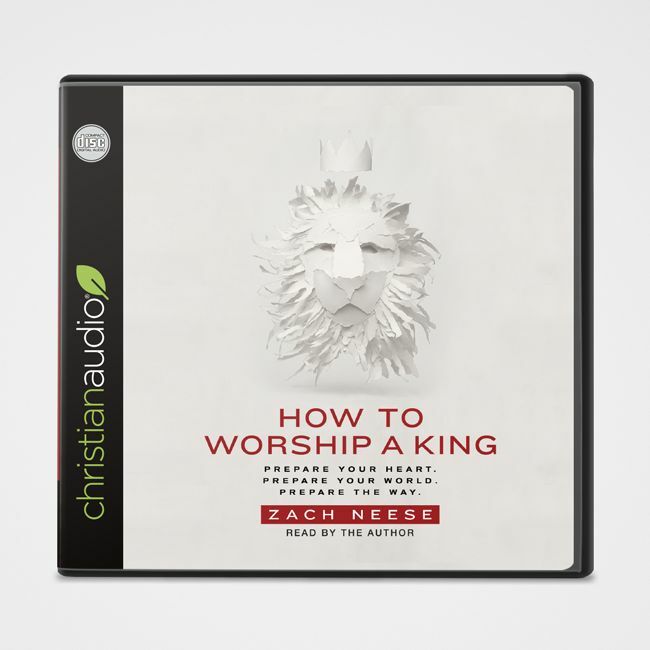 In How To Worship A King, Zach unveils the power and beauty of true worship beyond any known song or melody, and carefully builds understanding and compelling evidence into the intended purpose of worship as a powerful weapon designed by God for the advancement and building of His Kingdom, here on earth. Embark on this amazing journey of understanding, and be changed by the revelation gained as you allow your mind to see what only your heart has had the capacity to understand: that the power of worship has been deliberately given to change your relationship with God and to affect the way you live your life as a true worshipper and high priest.